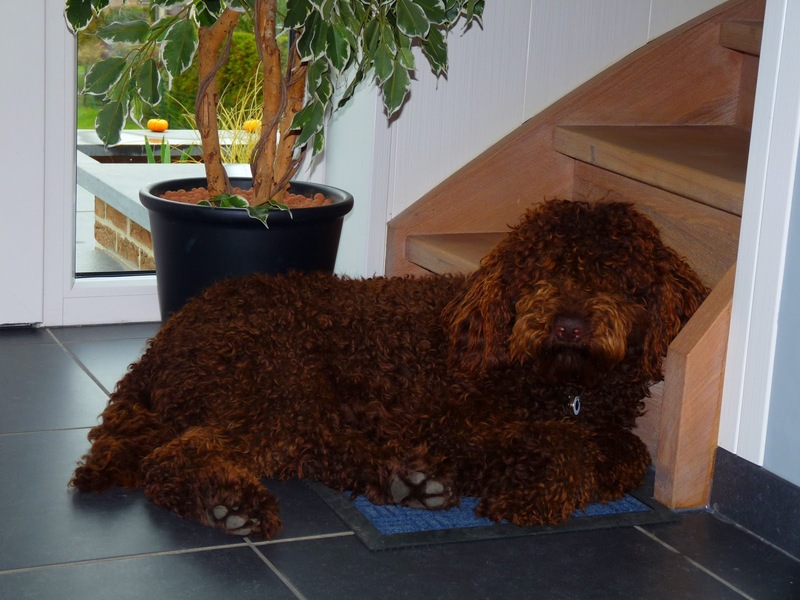 The barbet is very actif when he can play or work outside, but very calm when he is at home. He's very intelligent and he needs a consequent education. Due to his intelligence, he discovers very quick the weaknesses of his boss. He is very attached to his owners and he don't like being alone. He wants to participate in all family activities. Jedi Vom Zulimo at home. Barbets are very calm when they are inside. 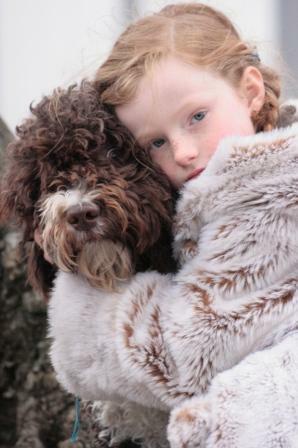 The barbet is very friendly with children.Thanks to his quiet nature, he can cope well with little children as well. Although he should be well socialized. 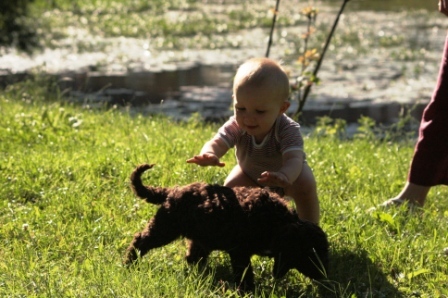 The socialization process begins already by the breeder of the pup.